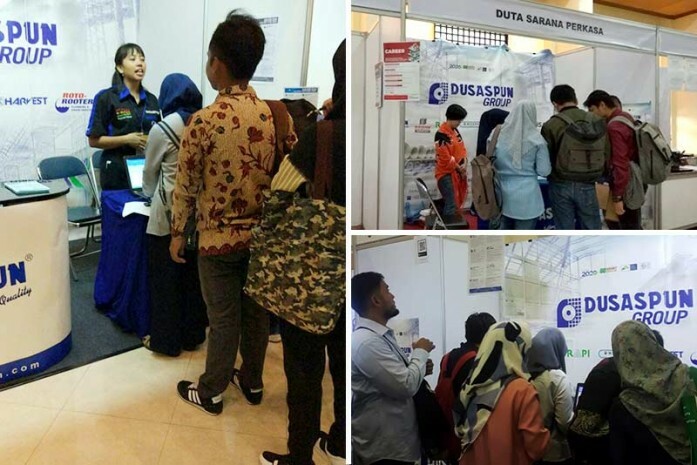 An employee with high competency and great professionalism is the essential success for Dusaspun to run its company. Therefore, Dusaspun was looking for potential employee through Dusaspun Hiring Roadshow 2018 in several cities like Jakarta, Bekasi, Depok, Bandung, and Yogyakarta. We want to give potential employee a chance in Dusaspun Group.